This CD was a pleasant surprise. It's pretty short but well done. 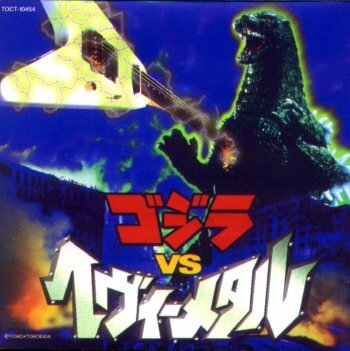 Basically we have 4 tracks of well known Godzilla music done by guitar in a heavy metal style. The description would tend to make you think this is a horrible disc but it is just the opposite and was very listenable.